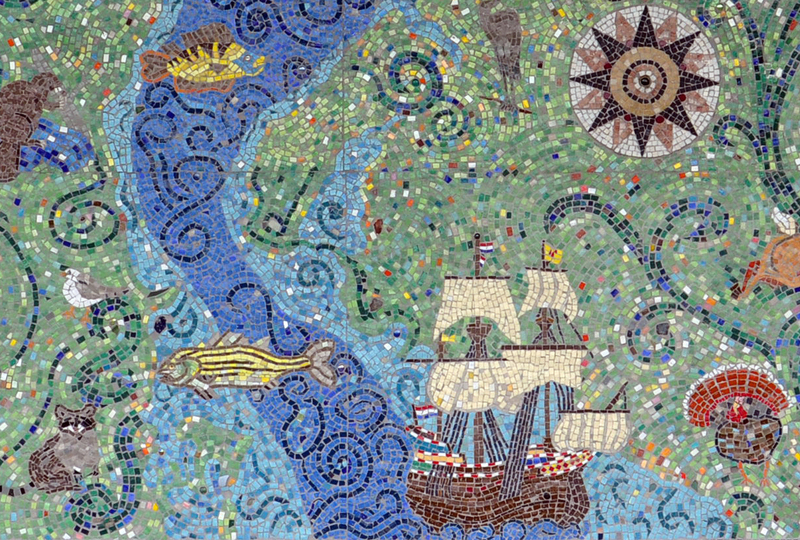 Shown here is a portion of a mosaic mural by the Peekskill train station in the public park, Riverfront Green. Standing approximately 5ft high and 6ft wide , titled: An ancient mariner’s map of the Hudson River designed by Haifa for the City of Peekskill. It conveys the wealth of surrounding “wild life” at a time when numerous species of fish also filled the River.